Over the past 12 months, our engineers have taken-on a range of ambitious multi-sector projects, helping customers new and existing to automate their liquid packaging operations. The year got off to a flying start, with Team Karmelle installing a complete filling, capping and labelling line at Greyland, one of the UK’s leading cleaning chemical manufacturers. 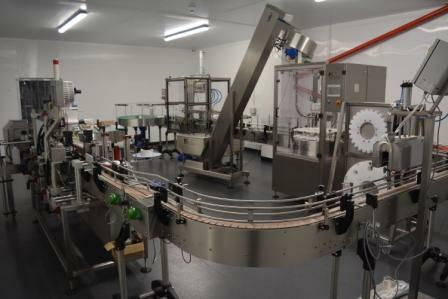 In June, they completed, delivered and installed a spirits bottling line for Bedale-based Masons Yorkshire Gin. Featuring a Four Head Filling Machine, ‘T’ Cork Capping Machine (developed especially for the project) and Labelling Machine, the system has allowed Masons to automate and streamline its entire packaging process – though not at the expense of its award-winning product. An automatic Sleeving Machine will be added to the line in 2019. Read more about the project here. 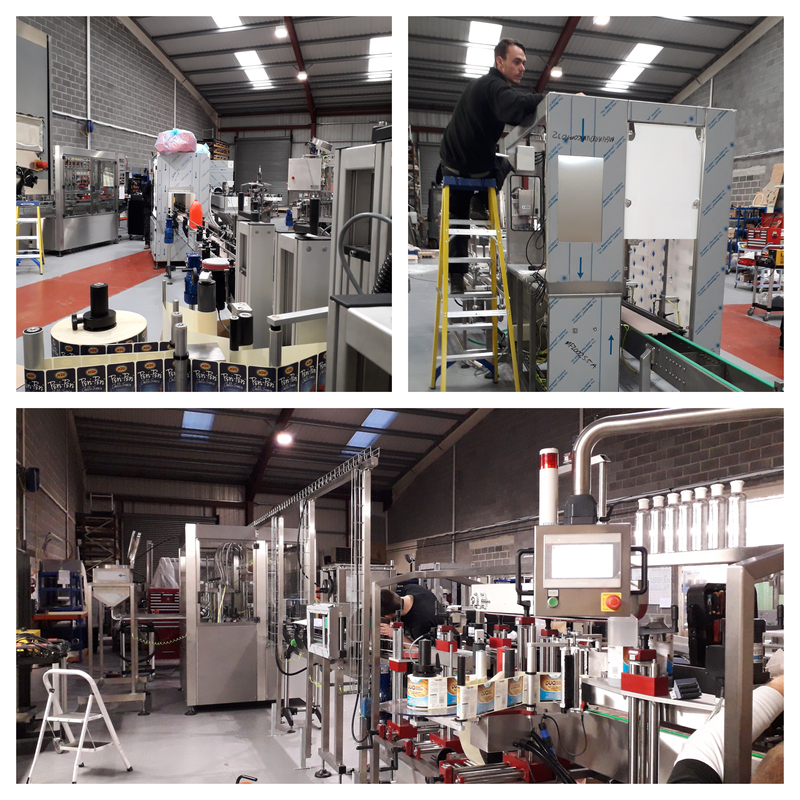 Soon afterwards, Team Karmelle finished work on bottling machinery for another Yorkshire producer, Yorvale. 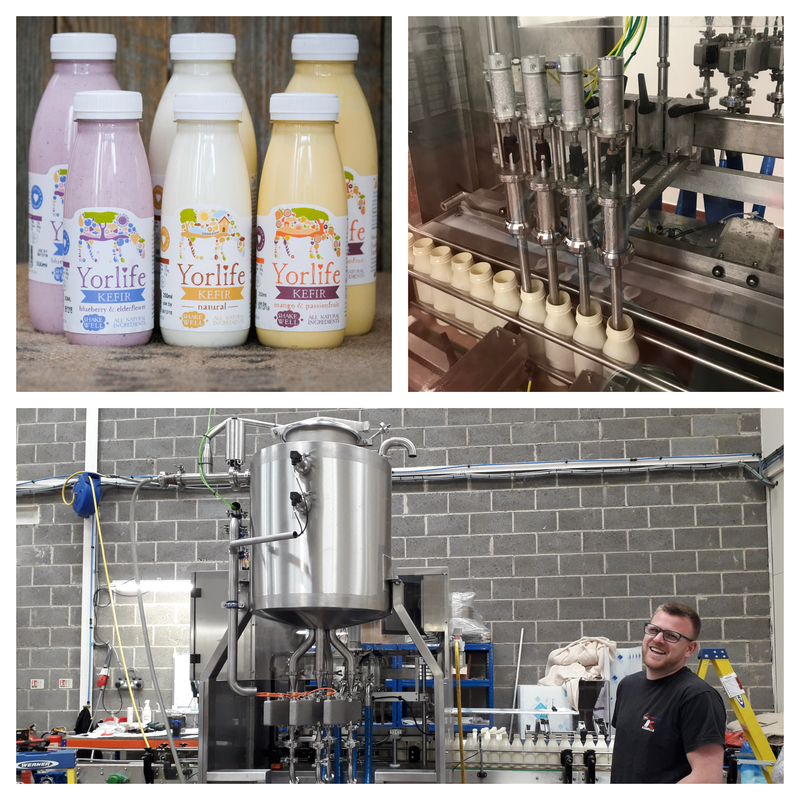 Renowned for its dairy ice cream, the company needed turnkey equipment to package a new product, Yorlife kefir – and we were glad to oblige. Their system, which features an Air Rinser, Flow Meter Filling Machine, Three Head Rotary Capping Machine and Three-Point Wraparound Labelling Machine, is now installed and running in Yorlife’s custom-built production room. Read the full case study here. Other notable projects included a filling and labelling system for sauces, a compact Monoblock machine designed for a manufacturer of medical diagnostics, and a complete filling, capping and labelling line, capable of handling a range of flammable solvent products. And, with our 2019 order book already filling-up, it looks set to be another busy year at Karmelle. We’ll be working on a range of projects – including a Monoblock filling, capping and labelling machine for a UK gin producer, and a Rotary Capping Machine for an award-winning sauce brand. We wouldn’t be able to meet our customers’ diverse and evolving needs without the support of our engineers, designers, machinists and administrators – and this year, we’ve continued to invest in Team Karmelle. In March, we appointed a new Design Engineer, Mathew. He was soon joined by experienced Electrical Engineer Bob, Service Engineer Joe and Machinist Martin. Read more about our new engineering appointments here. In October, we welcomed back Accounts Assistant Vicki, who originally joined Karmelle in 2013. New Storesman Tim, meanwhile, was tasked with organising and overseeing the Karmelle stockroom. And we’re rounding-off the year with another new appointment – apprentice Leah, who will be learning more about manual and CNC machining in our workshop! Karmelle, then, is bigger than ever – and we’re a hard-working, high-achieving bunch. Vicki qualified as a Chartered Accountant earlier this year, while Engineer Matt graduated from Bradford College with an HND in electrical engineering. Well done, team! PPMA is always an important date in our calendar – and, this September, we showcased a range of working machinery at the leading production-line event. 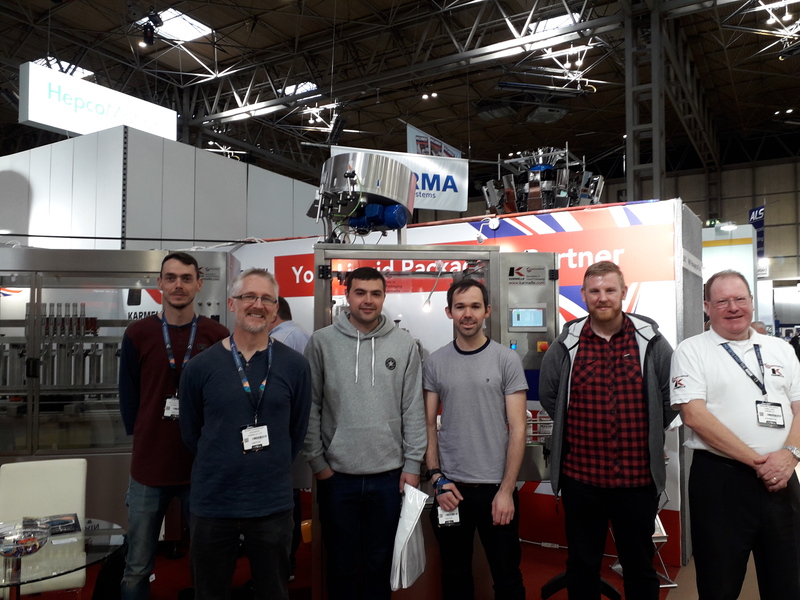 Visitors had the chance to see everything from an entry-level Bench Top Filler, to a fully automatic Front, Back and Wraparound Labelling Machine and eight-head Volumetric Filling Machine. The star of the show was our new ‘T’ Cork Capping Machine, developed for Masons Gin. 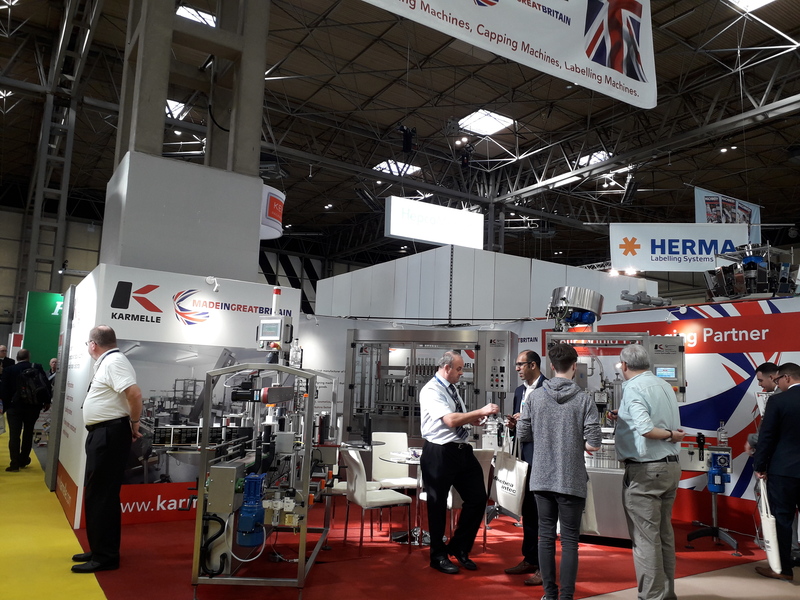 Held at the NEC, the three-day show was an opportunity for Peter, Brian and the team to connect with customers, make new contacts, and engage with the processing and packaging industry. They will be returning with a new selection of machinery in October 2019.